1. Limbeh (the father) was delivered here. 2. TMC is one of the few hospitals that specialises solely in childbirth. 3. Compared to other private hospitals, TMC is considered affordable for us. You'll see the hospital bill at the end. We opted for the premier single ward. Single wards are the only wards which allow the companion to stay overnight, which I would highly recommend. The wife needs all the physical, emotional and mental support she could get all day and through the night. How we chose Dr Tan Wee Khin (W.K. 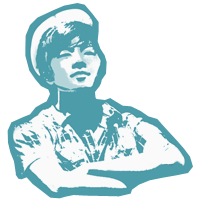 Tan) is beyond amazing. Initially, we approached our church friend for recommendations for my wife, Lydia's good friend. Apparently, several people were delivered by the hands of Dr Tan. Anyway, our friend opted for Mount Elizabeth in the end, and a few weeks later, we found out that we are pregnant. So, we were like, okay why not take Dr Tan since she's good? I went back to tell my mum about this, and surprisingly and coincidentally, I was delivered by Dr Tan as well. WHUT. Most of these are documented in my Instagram story here. 01.00am - Water bag break, contrary to our expected anxiousness and stress, we were congratulating ourselves, because baby Olivia is finally coming! We packed some last items into our pre-packed hospital bag (very important), got dressed, put on an extra absorbent pad, and called a taxi. 01.30am - Taxi arrived, and we are on the way to the hospital. 01.40am - Thank God, there was literally no traffic, and we reached there within 10 minutes. As the nurse brought Lydia up to the observation ward to check her dilation (it was only 1cm), I did the registration at the counter and paid the initial deposit of $4000 (for premier single). 02.30am - The nurses strapped on some contraction and baby monitoring devices on her belly. Since it's confirmed that the baby is arriving, she was transferred to the delivery ward. Her contraction wasn't that bad at this time, so she was able to catch some rest. The drink dispenser is a real lifesaver. Trust me. 05.00am - The contractions were kicking in. 06.30am - Dr Tan arrived and checked her dilation. The result was not encouraging at all - 1cm. WHAT? No improvement? In the gynae's own words, "it's not working". To be fair, for majority first-time pregnancies, the average time for dilation is 1cm per hour. A urine catheter was then inserted. The feeling sucked. She then administered a drug in her vajayjay, which is supposed to help my wife dilate faster. According to my wife, a great tip is to pee and poop before the urine catheter is inserted. 08.00am - Breakfast was served, we opted for chicken porridge and they messed up twice. Okay nevermind. My wife ate half of it and took a rest, while fighting through the intervals of contractions. 09.30am - The contractions were progressively getting worse. The nurse checked her dilation. 1.5cm? What the heck. She was hanging to her dear life and clawing on the bed railings (heng, not my arms). Seriously, you don't know what you signed up for. 10.00am - She finally gave in and opted for a last minute epidural. The nurses checked with our gynae and she gave the green light. Here's a tip, try to eat and drink something before the epidural, as consuming anything after will be nauseating. In any case, you'll still need strength to push during the final lap. 11.30am - Dr Wendy, the anaesthesian arrived and administered the epidural within a short 10 minutes. The process involves hooking you up on a drip for hydration, an anaesthesia to your lower back, and a needle to your spinal cord (trust me, you don't want to look at it). 12:00pm - After the epidural, she's able to fall asleep finally. Since she's not eating, rest is essential for her to regain strength. 02.30pm - The epidural started to wear out a little, and Lydia is able to feel some contractions at 6cm dilation. She was administered oxygen to ease the pain, supposedly it gives her more strength too. 03.30pm - Our gynae came in and checked her dilation again. It was 8cm! Just a little more! The nurse did a run through of our birth plan, which has two criteria: Natural birth with no epidural (which has already failed) and no episiotomy (incision of the vajayjay). 04.00pm+ - The nurse came in to check and announce that the baby is ready to be pushed. The gynae was called in. After a long-awaited 16 hours of approximately 7-8 rounds of pushing, baby Olivia is already out! Lydia was dazed by the ordeal, her hands trembling from the epidural, while the gynae was cleaning and stitching her up. Yup, we thought our continuous efforts of perineal massage would have worked, but it didn't. My wife suffered from a slight tear. But it's okay, it will heal in a few weeks time. After the delivery, the nurse cleaned Olivia briefly, I cut the umbilical cord - which is surprisingly tough and slippery. Her weight and length was then measured before placing on mummy's chest for some skin-to-skin. Although prior ultrasound scans predict her weight to be 3kg, her birth weight was slightly less at 2.8kg (happens often). 05:00pm - Together with the baby, we headed to our premier single ward at level 5 (our room was 511). Our ward has the necessities we need - fridge, coffee machine, sink, personal toilet, safety deposit box, TV, sofa (the companion's bed, which is not comfortable at all by the way), etc. 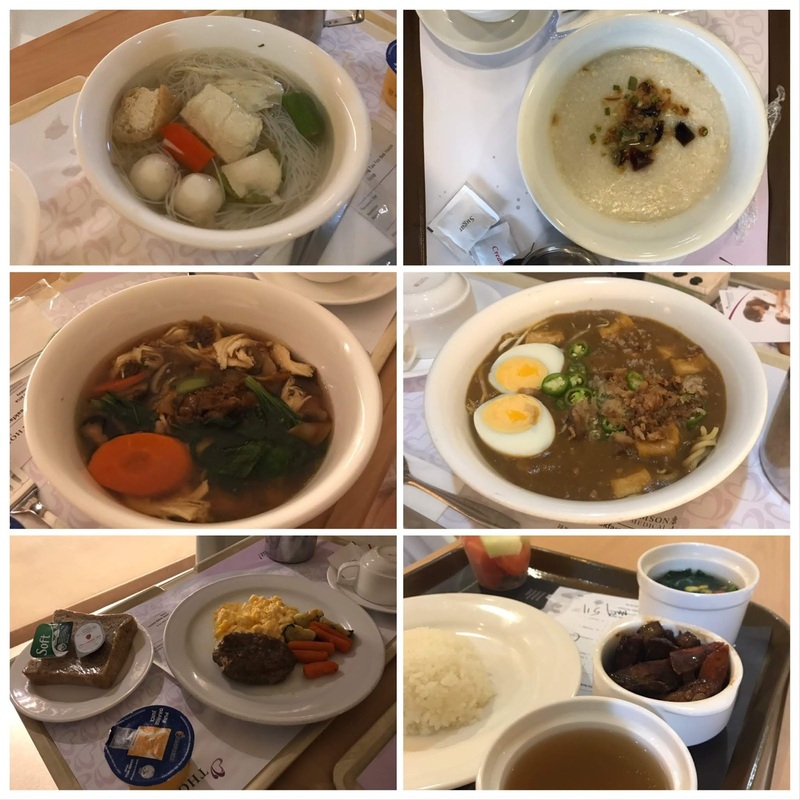 The confinement meals were great, there's a nice selection of "Chinese", "local" and "international" meals, with free flow of red dates tea (don't worry, it's free) - particularly helpful if you don't feel like eating anything and it kinda promotes milk flow too. Don't worry you won't starve. Companion's breakfast is complimentary, lunch and dinner can be topped up at $20/day (correct as of December 2018). I had my lunch and dinner at the kopitiam opposite TMC if you're wondering. Wide range of vacation food. Okay, vacation is an overstatement. It's stressful physically and emotionally as you cope with a newborn. Yup, say goodbye to your 8-hours of uninterrupted sleep. Although your baby can sleep in the nursery, your role as the mother is to feed the baby whenever he/she is hungry. When it's feeding time, your baby will be delivered to your ward. You'll be waking up now and then to feed the baby, to the point you will be unsettled whenever you hear the sounds of the baby trolley. Thankfully, the doctors and nurses are extremely helpful in assisting us in all possible ways. I could see that most are genuinely caring and would spend time to teach you about basic newborn need-to-knows. The major one being breastfeeding, which we had some problems with. Baby whisperer doing what she does best. I would like to take the chance to thank our antenatal teacher, Dr Wong Boh Boi, and our lactation consultant, Sun Rong, for dropping by our ward at their time to give us additional and practical tips on breastfeeding. The nurses (particularly Mabel, Corfei, and Karen) were particularly helpful and provided my wife comfort when she needed it. Thank you for your noble dedication and for making our stay at TMC a very pleasant one. We opted for express check-out, which means that we can settle the bill a few days after we checked out. 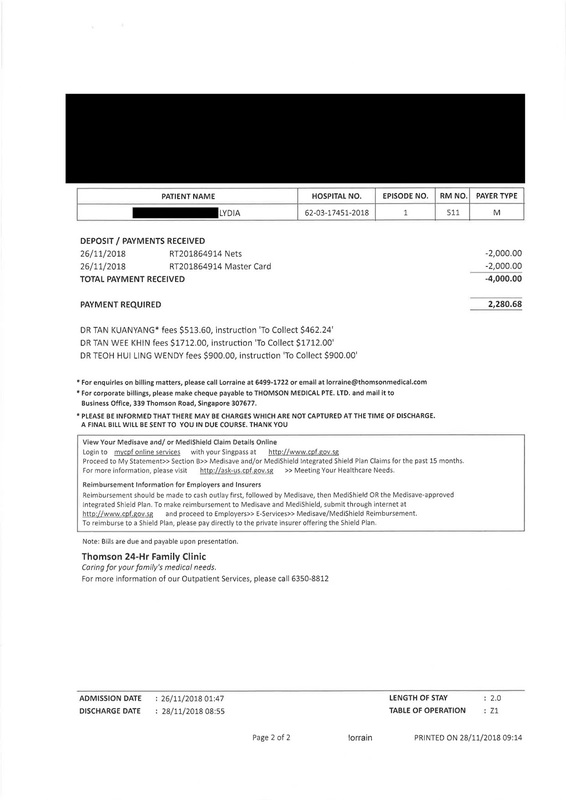 We did some research beforehand and were not surprised at the "miscellaneous" charges that appeared on the bill. Just know that pretty much everything is chargeable at the hospital. If you're not sure, just ask. 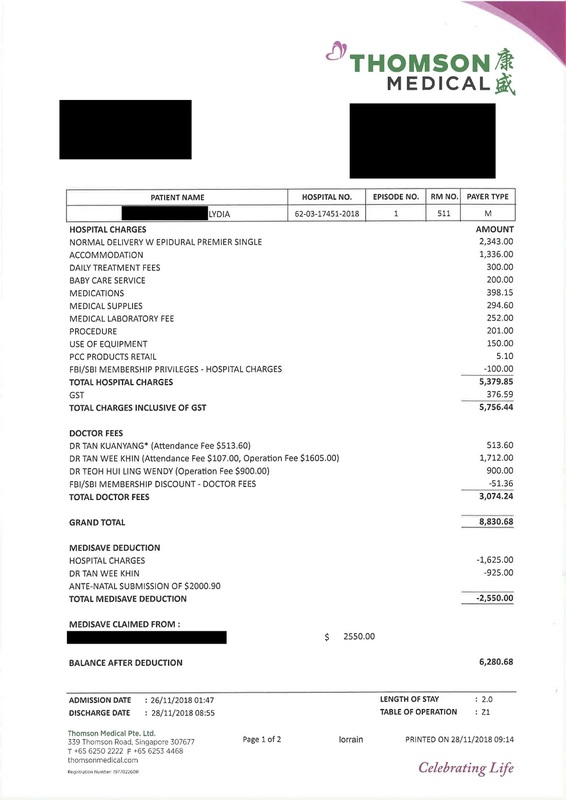 The bill excludes prior to delivery day charges, such as gynae's deposit ($1712) additional ultrasound scans, diagnostic tests (i.e, OSCAR), medication and supplements. All in all, it is estimated that the hospital costs is around $12,000. I hope that this post provides a good overview for you and your partner to decide where you would like to have your baby. If there's anything else you wish to know or think would be beneficial to add into the post, feel free to let me know at thomaschan@live.com.sg.